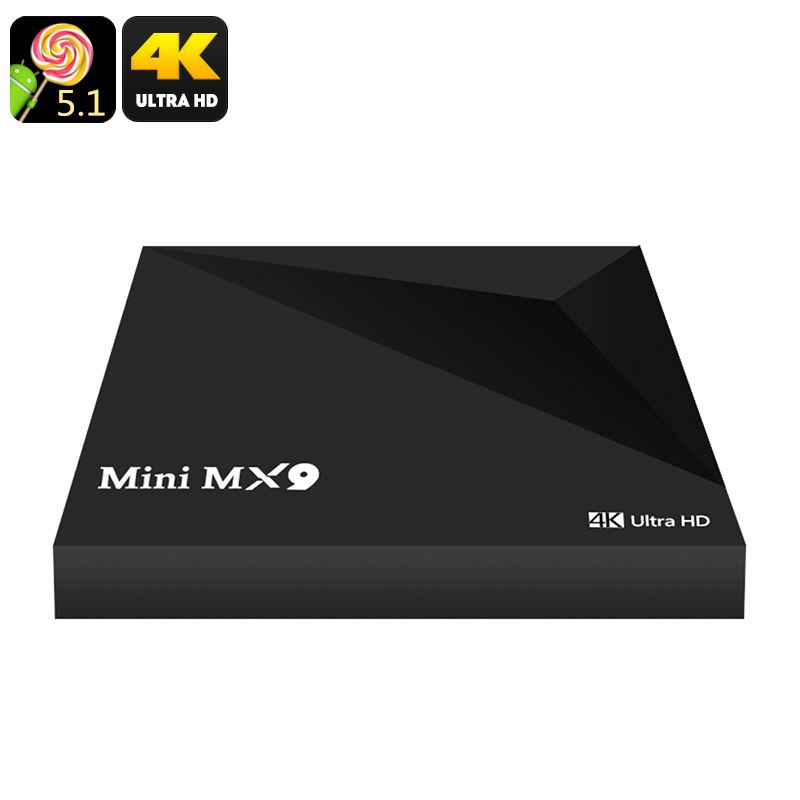 Successfully Added Mini MX9 TV Box - 4K, 3D Support, Quad Core Rockchip CPU, Android OS, Wireless, Two USB, Micro SD to your Shopping Cart. If you're looking for a cheap TV box then the Mini MX9 is a superb option, this amazing Android TV Box can be yours for about $25 and is one of the best TV Box available for that kind of money. It comes with a RockChip 3229 quad-core CPU and offers 3D movie support. Able to play 4K ultra HD content and with the Kodi 16.1 media player preinstalled it's a great home entertainment option if you want to stream sports and films but have a limited budget. The OTT TV Box comes come with 12 months warranty, brought to you by the leader in electronic devices as well as wholesale Android TV Boxes and Mini PCs.. Product really good. Delivery really good to. Was surprised. Well done. Will be buying more computer/techie goods from you as your pricing is very fair/cheap/reasonable. Thanks guys. The Unit is really Mini, which is so cool! I also bought the white keyboard to go with it. That is great too, however, if you just want to use the remote that comes with the Unit, that is so easy. Really easy to use. The keyboard of course has more keys and the mouse of course, but there is more to learn on that eg. different keys do other things as well. Either way it is a personal choice. I already have the X96 unit (from elsewhere) personally cannot see any differences. Works just great for me. Nothing to date, except that KODI 17.4 was released four days ago and am trying to update my software from 16.1 version that came with the unit to the 17.4. I am sure I will work it out eventually!